In contrast with the United States, among constraints on a balanced discussion in Australia of the Arab-Israel issue is that liberal Jewish voices in Australia are barely heard. This inevitably skews the public debate in favour of an Israel “right or wrong” position and in turn, leaves non-Jewish writers about the Middle East exposed. In an interview with the Jerusalem Post, Leibler alluded to contrasts between American and Australian Jewry in attitudes to Israel, in which the Australian version is more accepting, less critical, of Israel’s actions. 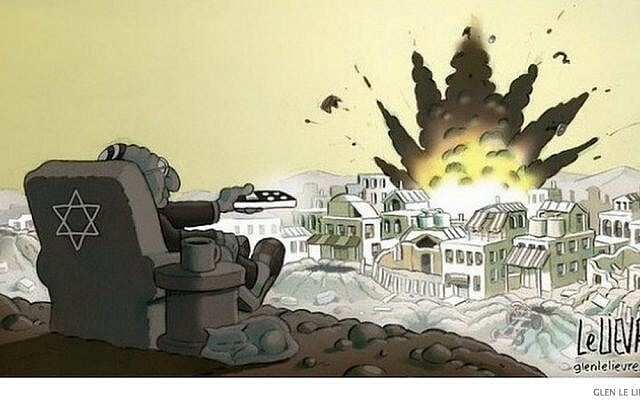 “Leibler noted that among Australia’s 120,000-strong Jewish community, unlike in the United States, differences people may have with the policies of the Israeli government … have not ‘developed into fundamental shifts in the relationship between Australian Jewry and Israel’,” the Jerusalem Post reported. At this point, I should declare a personal interest. In 1984 I went to the Middle East as correspondent for Fairfax newspapers and the Financial Times. In 10 years as Middle East correspondent my beat included Israel and the occupied Palestinian territories. During those years, I observed the spread, day-by-day, week-by-week, month-by-month, of Jewish settlements on land occupied in the 1967 war. In the half century since the Six Day War, 400,000 settlers have, for want of a better word, colonised sections of the West Bank. Israeli settlers executed a young Palestinian father earlier this month and soldiers destroyed video evidence of the incident, according to an investigation by the human rights group B’Tselem. Yehoshua Sherman, one of the shooters, told media that Muhammad Abd al-Fattah, 23, was holding a knife and tried to open his car door and attack his teenage daughter. B’Tselem’s investigation revealed a very different scenario, one in which Abd al-Fattah was killed not in self-defense, but as he lay on the ground, himself defenseless. The number of Palestinian children killed by Israeli forces in 2018 increased sharply from the previous year and reached 57 compared to 15 in 2017, the Palestinian Central Bureau of Statistics (PCBS) said in a report published on Thursday marking Palestinian Child Day, which coincides on Friday. Israeli anti-occupation activists demonstrate in the heart of Tel Aviv in solidarity with Palestinians taking part in the Great Return March and against the continuing blockade on Gaza. Recent rockets fired into central Israel by armed groups in Gaza were not ‘mistakes,’ as both Hamas and Israel claim. The counter-intuitive context, Tareq Baconi explains, is a Hamas attempt to get Israel back onboard with a cease-fire agreement. Excerpts from The +972 Podcast. Ann Arbor (Informed Comment) – The Trump administration’s illegal and unilateral recognition of Israeli annexation of the Syrian Golan Heights is an unfortunate return to the international jungle of the 1930s and 1940s, when Hitler annexed the Sudetenland and Mussolini annexed Nice from France. Trump’s policy is Nazi law, as so many of his policies are. His first wife Ivana maintained that Trump kept a copy of Hitler’s speeches on his bed stand. It was said as part of a nasty divorce. But it is, sadly, nevertheless plausible. The United Nations charter was crafted after World War II in an attempt to create a more just world order. One of the things the UN sought to do was to make aggressive warfare illegal, and to make annexation of other countries’ territory equally illegal. Note that although the article does forbid aggressive warfare, it also is concerned to maintain the territorial integrity of existing states. Indeed, the maintenance of that integrity and sovereignty is considered key to the UN goal of preventing further world wars. Trump and Netanyahu have violated that principle of maintaining the territorial integrity of nation states, and it will certainly lead if not to war (Syria is weak) then to violence of some sort eventually. According to figures released by the United Nations this week, since the protests began last March 30th, Israeli forces have shot and killed 195 participants, including 41 children. 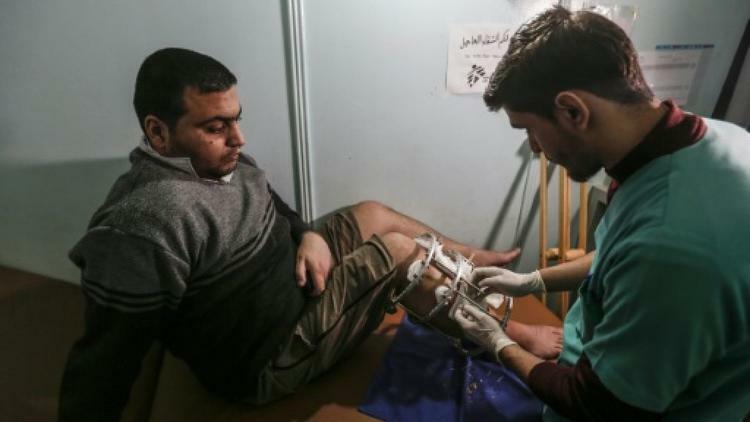 More than 29,000 protesters were injured or wounded, more than half of them by Israeli gunfire. Some estimate even higher numbers. Their only threats are internally created by extremist fascist rule. Contemptuous of Palestinian suffering, Trump expressed full support for Israeli aggression, falsely calling it self-defense. 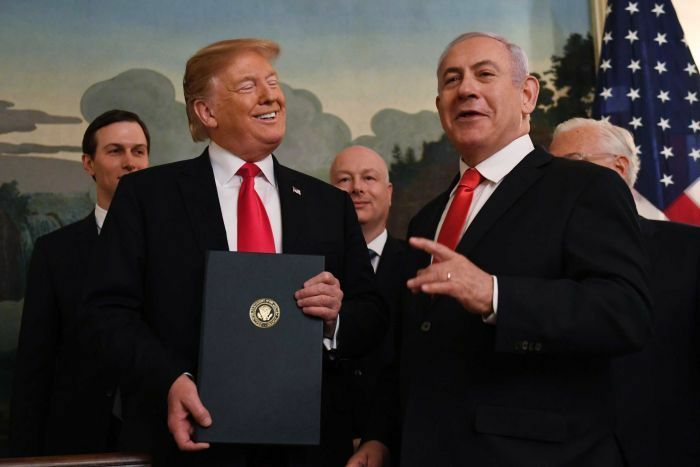 Together with Netanyahu, he signed a proclamation, illegally recognizing sovereign Syrian Golan as Israeli territory – a flagrant international law violation. An EU spokeswoman said that the bloc does not recognize Israel’s sovereignty over the territories occupied by Israel since June 1967. The French foreign ministry noted that Israel’s claims for sovereignty over the Golan have been “recognized as null and void” by several UN Security Council’s resolutions. Trump maintained that it is supposedly all “about regional security” while denying that his call has anything to do with the forthcoming Israeli elections, which he claimed he “had no idea” about. Human Rights Attorney to Trump: “Israel Is Not Interested in the Golan Heights for Security” | Democracy Now! 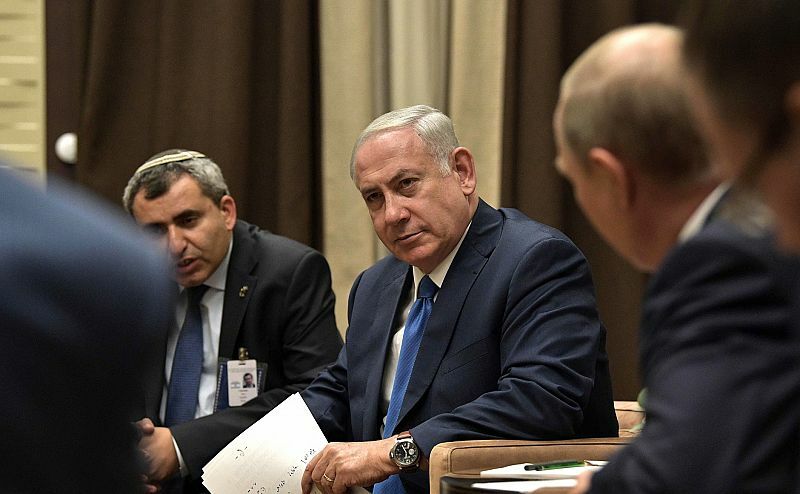 Israel is not interested in the Golan Heights for security. If it were interested in that, then it wouldn’t be settling its civilians there. It has 34 settlements, 20,000 settlers. To put civilians into a place that’s known as a military zone is, one, either to belie that there’s actually a military threat or, two, to be using Israeli citizens as human shields. In both instances, it’s incredibly problematic and discounts the fact that there is no military threat to Israel from that border. Syria last launched a military attack on Israel in October 1973. Egypt and Jordan have established permanent peace with Israel. Iraq and Libya, which might pose a threat rhetorically, have been completely gutted and destabilized. There has been no threat. Even Hezbollah from the south of Lebanon, where Israel withdrew its forces in 2000, have not launched war against Israel. In fact, it was Israel that launched war against Lebanon in 2006. This framework of security is a cover and a veneer for Israel as an aggressor. It is not the David, it is the Goliath in the region. And Israel’s continuing warfare is what’s destabilizing the region. Yeah, welcome to Israel. Welcome to Palestinian lives, of being literally dehumanized, killed, ridiculed, accused and blamed for their own deaths, for the sake of domestic politics, for the sake of international politics, while the rest of the world watches. 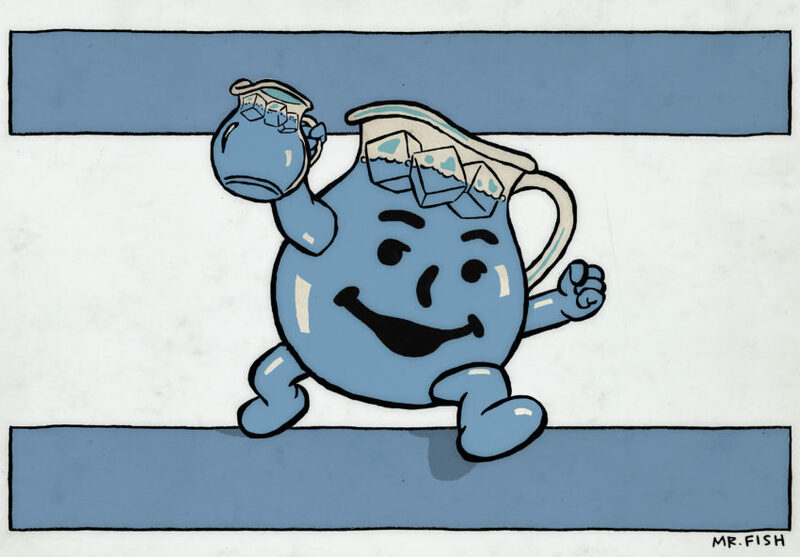 When Israel massacred 58 Palestinians on May 15th last year, when the embassy was moved and when Palestinians continued their Gaza Great March of Return, you know what U.S. headlines ran? They said, “How dare Hamas ruin and spoil Israeli celebrations!” The level of dehumanization that is at play is astounding, absolutely astounding. via Human Rights Attorney to Trump: “Israel Is Not Interested in the Golan Heights for Security” | Democracy Now! Yair Netanyahu, the son of the Israeli prime minister, shared this meme on Facebook depicting George Soros as a puppet master, an image reminiscent of classic anti-Semitic propaganda. The IDF Censor prohibited the publication of more news reports last year than in almost any other year this decade. While fewer articles were submitted for review than in previous years, the percentage of stories that were partially or fully censored was significantly higher. Beyond the direct harm to freedom of the press – with 22,371 stories over the past eight years that were disqualified entirely or in part – it is likely to assume that the mere existence of a censor creates a chilling effect. Israeli journalists know what issues they cannot report on, and often simply avoid them to begin with. Prime Minister Benjamin Netanyahu says Israel is the homeland “only of the Jewish people,” in a new jab at the country’s Arab minority ahead of April’s election. Netanyahu on Sunday addressed “slightly confused people” after an Israeli celebrity defended the rights of Israel’s Arab population. Arabs comprise about 20 percent of Israel’s 9 million residents. They have full citizenship rights but have faced decades of discrimination. Dr Evan Jones discusses the way Australian media frequently channels an unashamedly pro-Israel worldview at the expense of other legitimate perspectives. Kahane, a major violent hate group leader, founded the Jewish Defense League, seen by the FBI as the most active and dangerous terrorist group in the United States in the 1970s and 1980s. He also founded the party Kach, which has many affiliates, including Kahane Chai, which was listed as a terrorist group by the US government. Kahanists are alleged to have been behind the murder by pipe bomb of Arab-American activist Alex Odeh in 1985. In 1994, Kach member Baruch Goldstein shot and killed 29 Palestinians at the Cave of the Patriarchs at the Ibrahimi Mosque in Hebron. Thereafter the party and its affiliates were banned in Israel and parties that had racism as their basis were not allowed in Parliament. Israel’s 300 Congolese asylum seekers have been living in the country for well over a decade. Now the Israeli government is trying to deport them back to their home country, considered one of the most dangerous in the world. 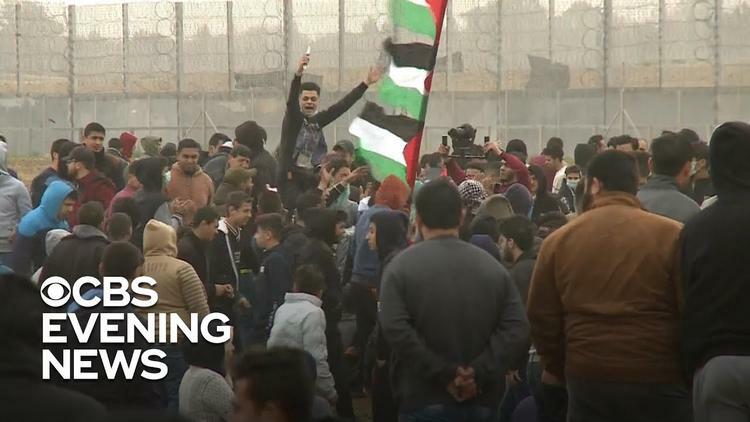 The joint statement said this brings the number of Palestinians held in Israeli prisons to around 5,700 by January 31, 2019. They include 48 women and 230 children under 18 years of age. About 95 Palestinians are held in administrative detention without charge or trial for various periods of time in January, 50 of them were newly detained, to bring the total number of administrative detainees to 500. The three rights groups said Israel is holding 18 journalists, including three women, three held in administrative detention, two serving life sentences and two long prison terms. The statement added that Israel has intensified its collective punishment policy against families of Palestinian alleged to have attacked Israelis, including the detention of several members of the immediate and distant relatives for various periods of time. The other two children killed were Hamza Muhammad Rushdi Ishtaiwi, 17, and Hasan Iyad Abd al-Fattah Shalabi, 13. Hamza Ishtwaiwi was sitting some 200 meters from the Gaza-Israel boundary fence when he was hit in the neck by a live bullet, according to Defense for Children International Palestine. Muhammad Hussam Habali, a 22-year-old resident of Tulkarm refugee camp “born with a mental disability, causing him difficulties to recognize his surroundings and identify threats and risk consequences,” was shot in the head with a live bullet on 4 December. Video footage of the incident shows that Habali posed no threat to soldiers and was walking away from them when he was shot from behind. Israeli occupation forces killed two protesters in Gaza on Friday, both of them children, according to Al Mezan, a human rights group in the territory. The deaths bring to three the number of Palestinians killed by Israeli forces during the week. Abdallah Faisal Tawalbeh, 21, was shot dead by soldiers in the northern West Bank on Monday. Also on Friday, Yasir Hamid Ishtayeh, from the West Bank city of Nablus, was reported to have died in Israeli prison, two days after the death of Faris Baroud in his 28th year of imprisonment. 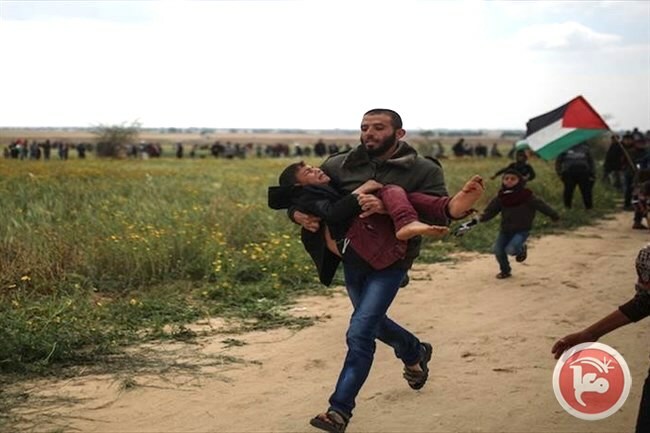 On Friday, Hasan Iyad Abd al-Fattah Shalabi, 14, died after he was shot in the chest while 60 meters from the boundary fence with Israel in Khan Younis, southern Gaza. During Friday’s protests Israeli forces injured more than 100 Palestinians, including 43 children, five women and a paramedic, according to Al Mezan. Nearly two dozen were injured by live fire during the protests, while nearly 50 people were hit directly with tear gas projectiles, critically wounding one. More than 7,600 Palestinians have been injured by live fire during the protests since their launch.